OnePlus is expected to announce the OnePlus 6 flagship phone in the coming weeks and today it shared some information about the design. Taking the company's blog, CEO Pete Lau described in detail the company's design philosophy. 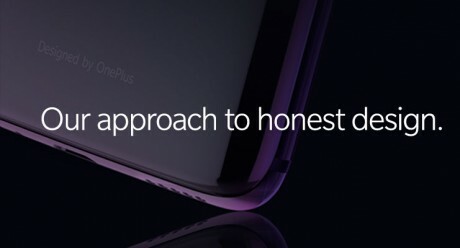 With respect to the OnePlu6, Lau said, "OnePlus 6's glass design is centered around creating a 'sense of value' and 'premium hand-feel.' People relate deeply to the products they use. We gave a lot of thought to how users should feel when they use the OnePlus 6. The advantages of glass over metal are manifold: glass communicates a transparent, bright, and pure feeling." Lau said OnePlus tested more than 70 different glass prototypes before selecting one. After selecting the glass, OnePlus refined it for hand feel extensively. "The OnePlus 6's glass back contains five printed layers of Nanotech Coating, a first in the smartphone industry." Three layers is normal. "The degree of separation between each layer is extremely subtle and tough to discern. However, the additional layers give the back of the device a stronger impression of depth that our most demanding users will surely appreciate." The phone will continue to make use of OnePlus' "horizon" design philosophy, which OnePlus has refined to fit the metal-and-gass materials. "Although OnePlus is not the first manufacturer to use glass, we are confident that we are providing users with our interpretation of a familiar material," said Lau. The OnePlus 6 is slated to arrive in May. Sony today announced the Xperia XZs, a flagship phone that carries forward the company's design philosophy of metal-and-glass slabs. It may not be as impressive as the 4K Xperia XZ Premium, but it is still meant to compete with the likes of the iPhone 7, Galaxy S8, and G6.